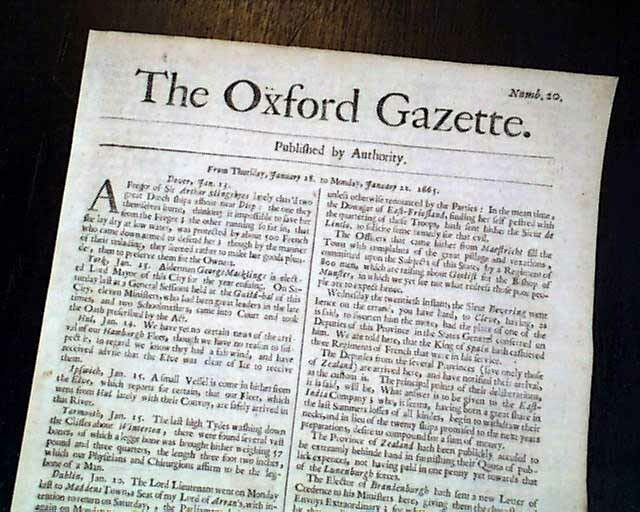 THE OXFORD GAZETTE, England, January 22, 1665 (1666 by today's calendar) - issue #20 This is an extremely famous--and rare--title, being the predecessor of the famous "London Gazette", the oldest continually published English language newspaper in the world. 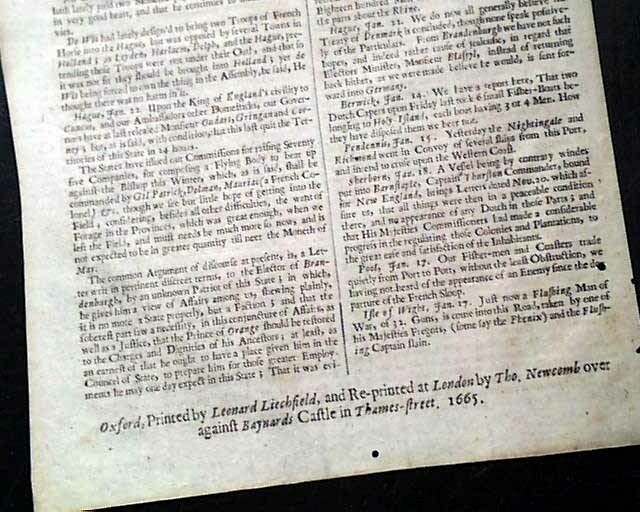 Because of the Plague at this time, the Royal Court had removed itself from London to Oxford when this newspaper began, so issues #1 thru #23 were published in Oxford (actually published simultaneously in London & Oxford), and when the contagion had subsided & the Court returned to London this newspaper went with it and renamed itself "The London Gazette" with issue #24, and the rest is history. This is issue number 20. The issue is filled with news reports from throughout Europe, mostly with a military theme. 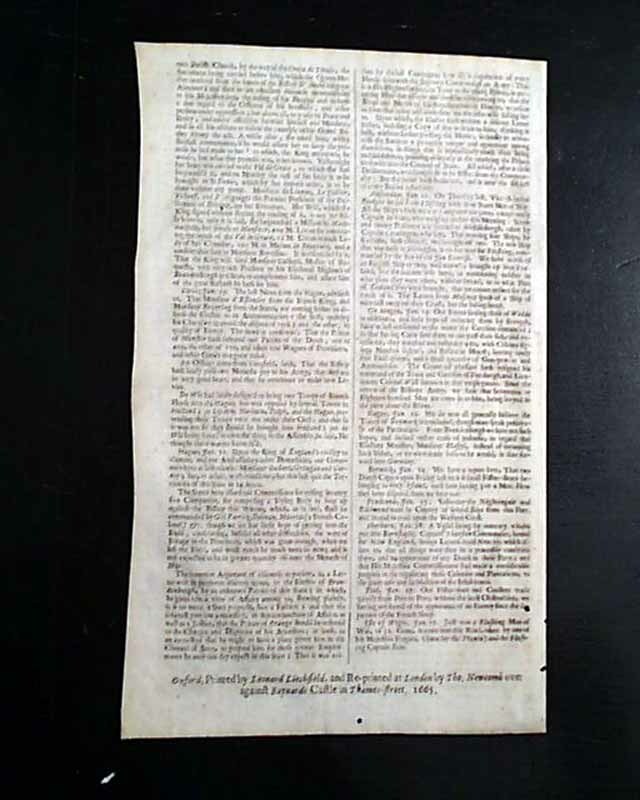 This issue measures 7 by 11 1/4 inches, and is in uncommonly very nice, clean condition. There is ample margin in the issue with a few very tiny worm holes near the bottom. 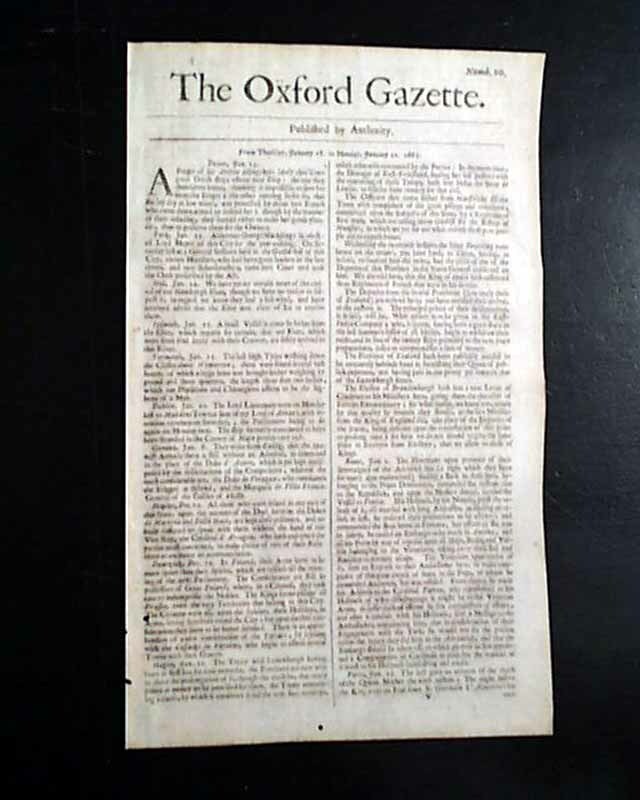 An exceedingly scarce newspaper and a cornerstone issue for any early newspaper collection, being among the first few issues of the world's oldest continually published newspaper--and from the very brief period when it published in Oxford.